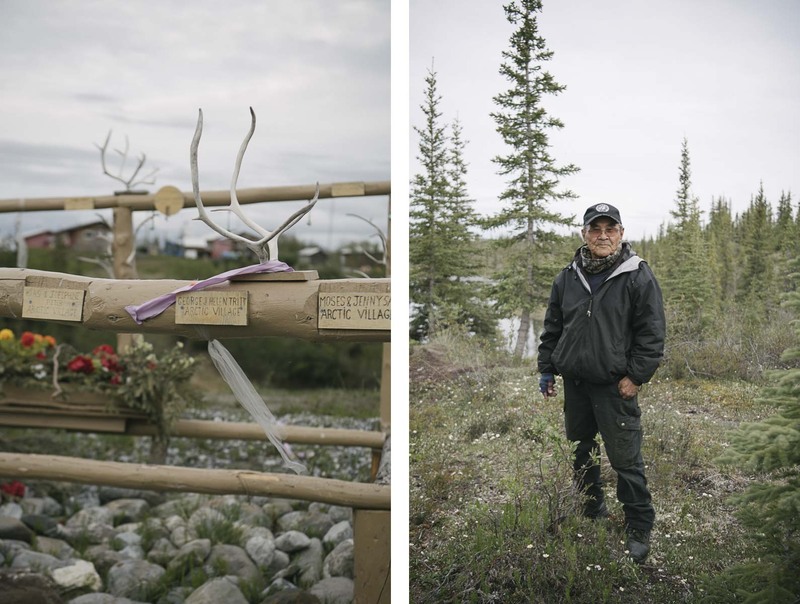 Left: In Arctic Village there is a memorial to the heroes of the Gwich'in that have fought to protect the caribou calving grounds of the Arctic Refuge. Right: Gwich'in elder Gideon James, on the battle for ANWR, says, "My people have lived in a real fashion, where they know how to do things for themselves; they're skillful. For the life of me, I'm ashamed of the legislators. All they are is a puppet of the big companies."